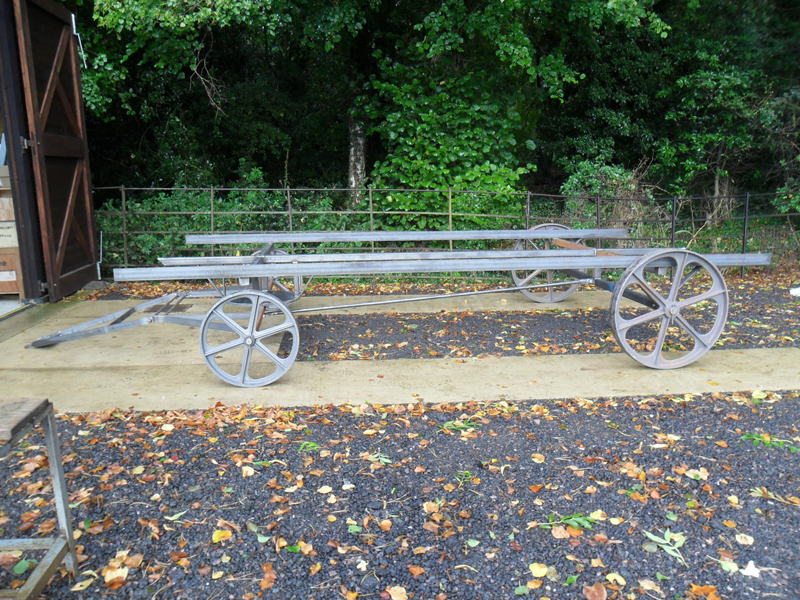 Overall width of chassis 8'3" (2515mm), including 2 x 24" and 2 x 32" Cast Iron wheels and stub axles machined to fit (see separate specifications). Supplied complete with turntable and centre pin, strainer bar and removable 'A' frame draw bar, for full steering capability. 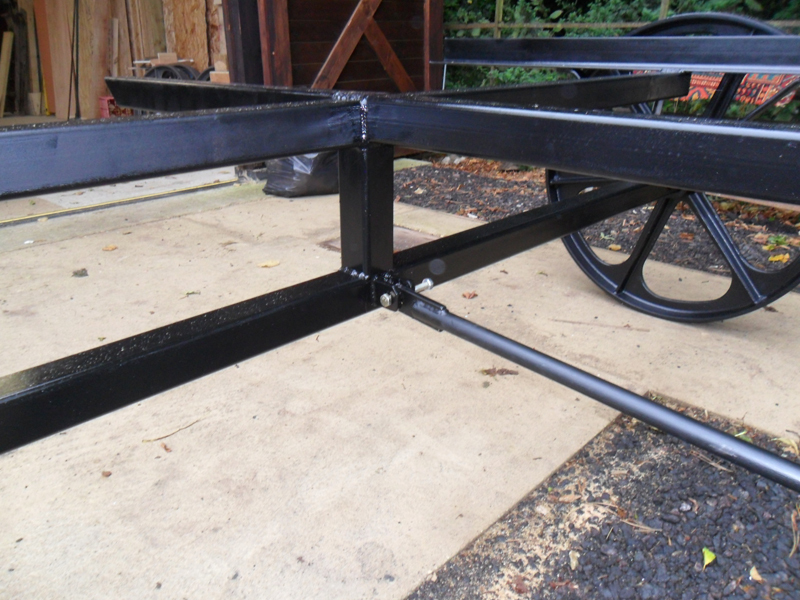 Our well proportioned Blacksmith made chassis' are constructed from heavy duty British steel angle / box section and solid bar throughout. 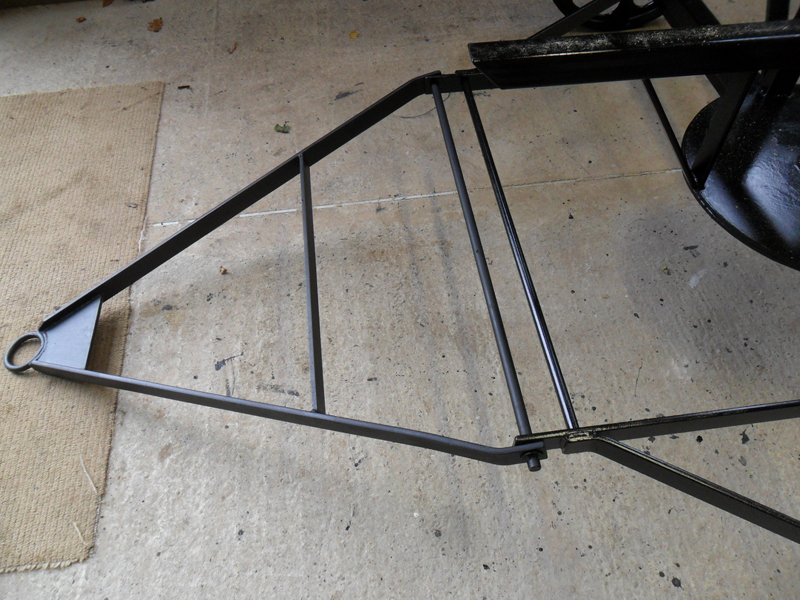 Unlike chassis' made entirely from box section, the sides of our chassis' are constructed from heavy duty angle iron, into which your timber floor construction fits. This ensures that the overall depth of your floor, including metalwork, is kept to a minimum. 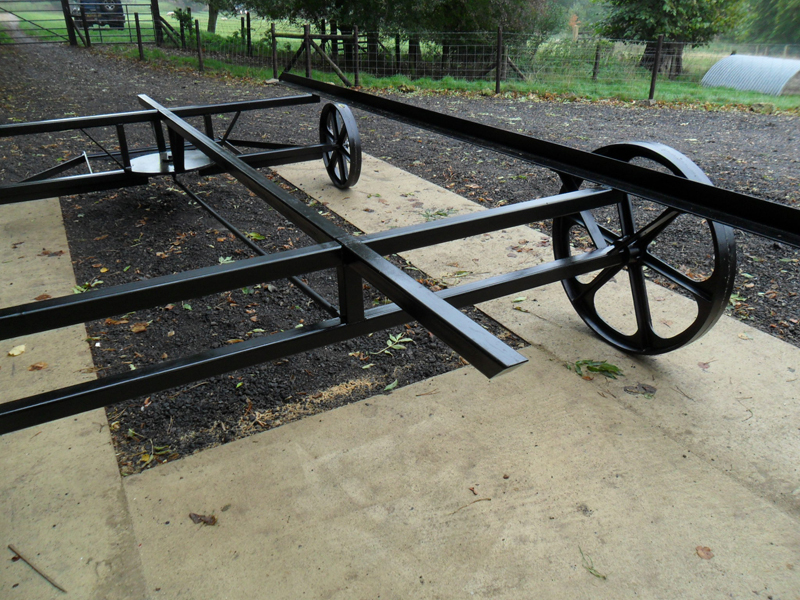 As this is our most popular chassis size / type, we usually have a 14’6” turntable chassis in stock, but if not they can be supplied within 3-4 weeks from order. Please note they are supplied unpainted. Please also note that we can also supply other sizes, both larger and smaller. Please contact us for details. 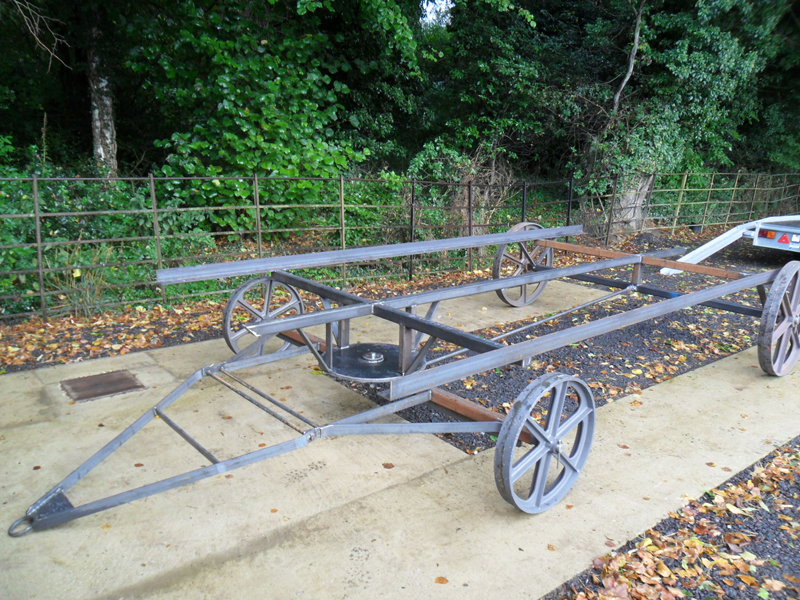 If considering purchasing a turntable chassis always ensure a strainer bar is included (between the centre pin and back axle) as this prevents axle frame damage in the event of a sudden ‘pull’ or where, for instance, the back axles are immobilised in soft ground and too much strain is applied to the front axle/turntable in an effort to release it. It is advisable to visit us to check out the build quality and specification before ordering your chassis - customers have found this very useful in eliminating construction problems further ‘down the line’.